Reminder: Today is the last day to help Project Tomorrow win $5k! Last chance to help Project Tomorrow win $5,000! 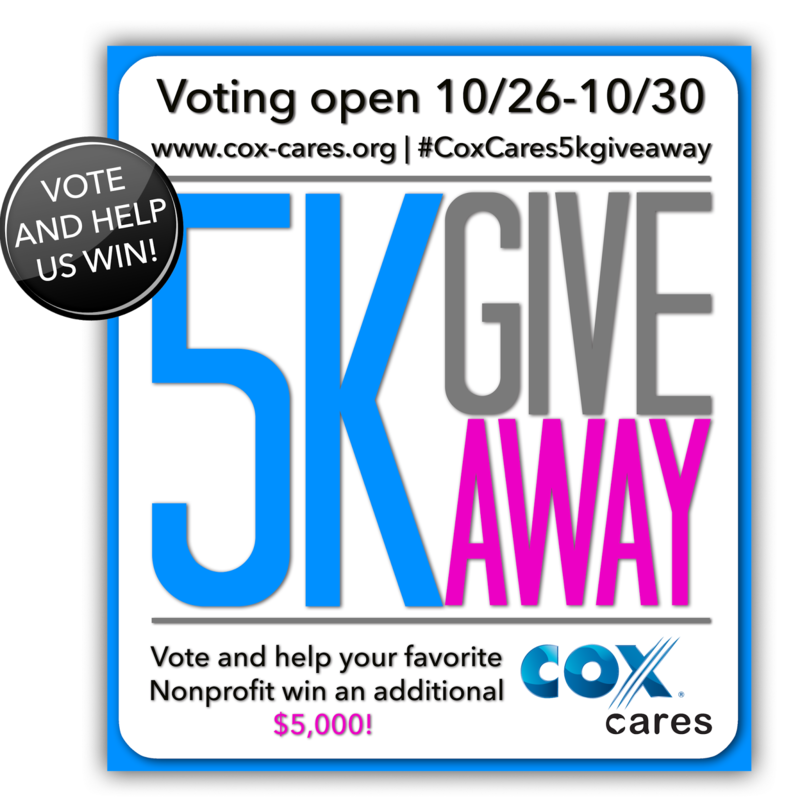 Project Tomorrow is a finalist in the Cox Cares $5k Giveaway social media competition that will award $5,000 to a deserving Orange County nonprofit organization. 2. Choose Orange County from the dropdown menu. 3. Click on “Project Tomorrow” to vote! 2. Retweet their tweet with Project Tomorrow’s name. 3. Spread the word – each retweet counts as a vote! Thank you again for supporting Project Tomorrow! The vision of Project Tomorrow is to ensure that today’s students are well prepared to be tomorrow’s innovators, leaders and engaged citizens of the world. To learn more about Project Tomorrow, please visit tomorrow.org. The philanthropic arm of Cox Communications, the Cox Cares Foundation, is funded by employee payroll donations that are matched by the company. The foundation provides scholarships to students, grants to non-profit organizations, and funds programs that improve the quality of life for children and families throughout Southern California. For more information about the Cox Cares Foundation, visit www.cox-cares.org. This entry was posted in Uncategorised and tagged Cox Cares, Cox Cares $5k Giveaway, Cox Cares Foundation on October 30, 2015 by Lisa Chu.